There is an interesting case out of San Antonio where a car owner shot and killed one alleged car thief and wounded another outside of a home of a friend. What is interesting is that response of the police that, since he was defending property, he was in the right. 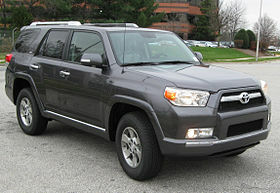 The 25-year-old man heard the men breaking into his Toyota 4Runner around 1:30 a.m. and went outside with a gun. He told police that he thought they had a gun and fired after confronting them. One of the men drove off after being shot but crashed a block away. This is an interesting –though not unexpected — position. The common law does not allow the use of force calculated to cause serious bodily injury or death in protection of property. In famous cases like Bird v. Holbrook, 4 Bing. 628, 130 Eng. Rep. 911 (1825), courts have ruled that “[n]o man can do indirectly that which he is forbidden to do directly.” Not only are such devices viewed as immoral (because human life is more valuable than property), but dangerous because such devices cannot tell the difference between friend and foe. The case however also has been cited for the long-standing rule that no property is viewed as more valuable than a human life. That does not mean you cannot take steps to protect your property and a case of protection of property can become protection of self (with the right to use higher levels of force) when the suspect resists or attacks. Of course, Texas has a “Castle Doctrine” law (sometimes called a “Make My Day” law) that allows homeowners to use lethal force to property their homes. Some states also have “Make My Day Better” laws extending that privilege to cars or businesses. This does not appear to be defense of the home though I have seen a case where a court ruled that a shooting at the end of a long country driveway was part of the curtilage of the home. A recent study showed an increase in shootings with the Castle Doctrine laws. But she didn’t become a beast regardless of the fact of Sullivan’s intervention. Just because a mind thrives on sensory input does not mean it is not fundamentally human when deprived of that input. It’s just missing something it needs to live up to its full potential. Just like asparagus grows up white deprived of sunlight, a mind can be stunted if deprived of any number of things. A reasonable person who has watched police chasing thieves driving stolen cars will understand that such thieves, when confronted, can seriously to lethally endanger innocent people. To not shoot a car thief, when such shooting is feasible, would subject the person who did not shoot the thief to liability for failure to reasonably foresee the chance of the thief starting a high speed police pursuit in which, for want of foreseeing the risk, the non-shooter would be subject to tort liability for failure to prevent (by shooting the thief or thieves) a foreseeable accident in which innocent people are injured, maimed, or killed? What, alas, if no reasonable person can ever actually exist, because reasonable persons are purely and exclusively only hypothetical legal fictions? the mind/consciousness is dependent on the structure of the brain. What would happen to a child who had no sensory input from the outside? how would they become human? Look at Helen Keller, had it not been for Anne Sullivan she would have locked away. She was well on her way to becoming a beast if the book can be believed. A sad but true comment, Mike A., a lethal symptom of an emptiness those who were not kidding will likely never fill. God money I’ll do anything for you. God money don’t want everything he wants it all. I’d rather die than give you control. God money’s not looking for the cure. God money’s not concerned with the sick amongst the pure. God money let’s go dancing on the backs of the bruised.